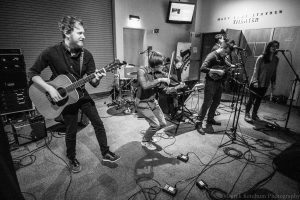 The award-winning, up-and-coming West Michigan band is already a staple at Irish music festivals, honing a unique sound for its songs. It plays a Grand Rapids CD-release show Thursday. Story, videos. It’s been a quick ride to notoriety for Kalamazoo’s The Founding, formerly known as Blarney Castle. The progressive Celtic sextet has been expeditiously carving out a name for itself since forming in early 2015 and has already played its way up bills at top-tier Irish music festivals around the region. And while that name has recently changed — more on that below — the lineup has remained the same. Already boasting an EP to their credits (2016’s “To a City Fair”), the band, comprising current and former Western Michigan University music students, is set to release its first full-length album, “Form,” this week. 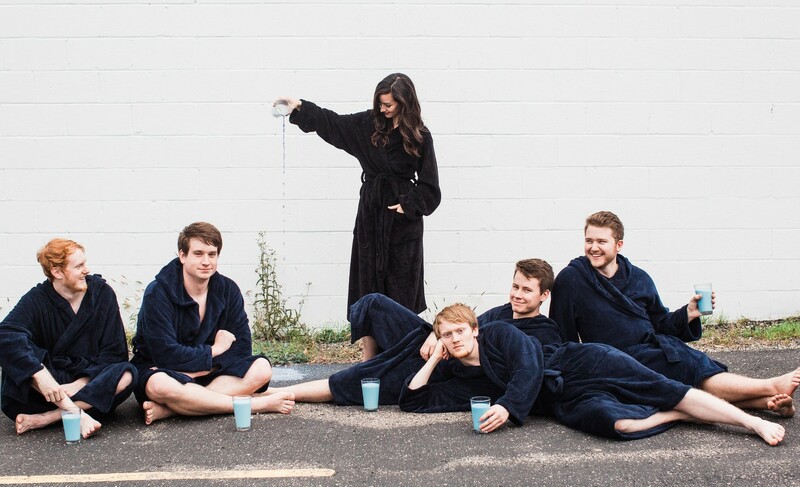 The band plays an album release show Thursday night at Grand Rapids’ Wealthy Theatre; advance tickets are $8 and available online here. 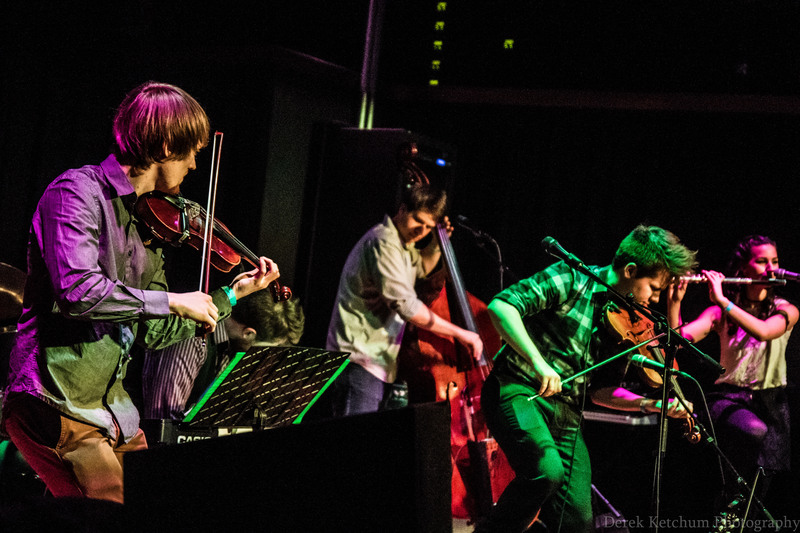 At festivals such as the Michigan Irish Music Festival in Muskegon, where they played this September, the sextet members have had the luxury of sharing stages with top bands from Ireland and Scotland, including Old Blind Dogs and Lunasa, along with acclaimed regional acts. The Founding, however, has been busy discovering a sound unique unto themselves. “All the tunes on the album have that traditional element in there, some more than others, but we are taking this traditional genre and adding to it, creating a more original sound,” said Myers, who pointed to the utilization of three-part harmonies, while factoring in elements of bluegrass and establishing a somewhat different rhythmic style. That approach to their sound, “sort of the founding of a new style or sound,” as Myers put it, helped inspire the band’s name change. Actually, the band was never super sold on the original name, which had been chosen hurriedly before the group’s first gig following a Google search of Irish castles. “We’d always been slightly dissatisfied with the name. But we were doing a lot more purely traditional stuff at first and Blarney Castle is about as Irish as it gets, so it sort of fit who we were then,” said Lukas Stanley, the band’s keyboard player and percussionist. All but one of The Founding’s members have a bit of Irish or Scottish heritage, and while some came to the genre later on, Myers knew from an early age it was what he was called to do. “Celtic music is the genre I grew up playing. It was the genre that got me interested in playing music at all,” he said. “When I was really young, probably in kindergarten, I saw this group play, called the Chelsea House Orchestra, and I said to my mom, ‘I want to do that someday.’ So when I got into high school, I joined a group and started playing these Irish sessions here and there. Stanley, one of multiple Founding members who is not playing his original instrument in the band, had a background playing Celtic fiddle and had composed some as well in high school. Like Myers, he had been drawn to the music for some time. 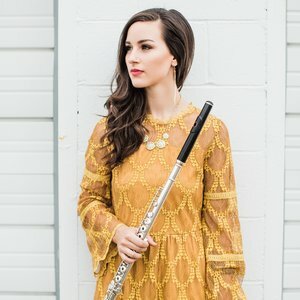 The lone member without Gaelic ancestry is vocalist and flutist Elizabeth June (EJ). Because her voice draws many people into the band’s music, it’s easy to see how The Founding sets itself apart from other Celtic groups. “While her voice fits really well in this genre, she doesn’t have an Irish accent or anything that limits us to really traditional Irish songs, like some bands might stick to. So I think she brings a lot to the band in that way,” Stanley said. 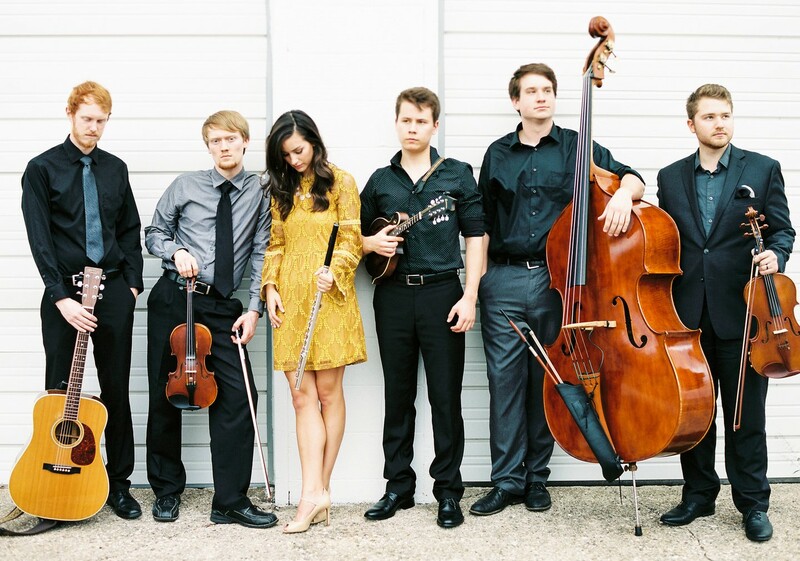 In addition to Myers, June and Stanley, The Founding features bassist Kyle Pitcher, fiddler John Robey and Patrick Hartson on guitar and cello. 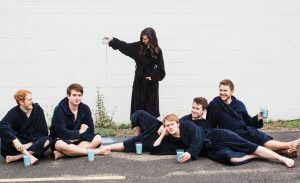 Winners of the 2017 Kalamazoo Fretboard Festival play-in competition in the acoustic category, the band once known as Blarney Castle officially releases the new album Friday. It can be pre-ordered online here or purchased a day early at Thursday’s album-release show at Wealthy Theatre.